Original printed wrappers, upper cover present but detached, lacks backstrip and possibly lower cover, edges turned, sewing adrift in places. Pages sound, clean and complete, nothing torn. 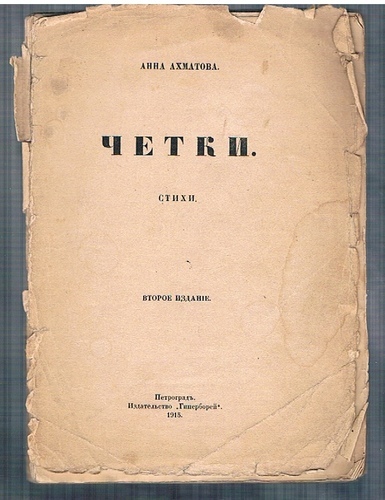 ; Second edition of Akhmatovas 1914 poetry collection. 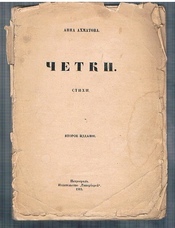 Only 1000 copies were printed of the first edition which immediately achieved tremendous acclaim.